Dalgleish Construction is steaming forward on our Cherry Springs house (between Fredericksburg and Mason). 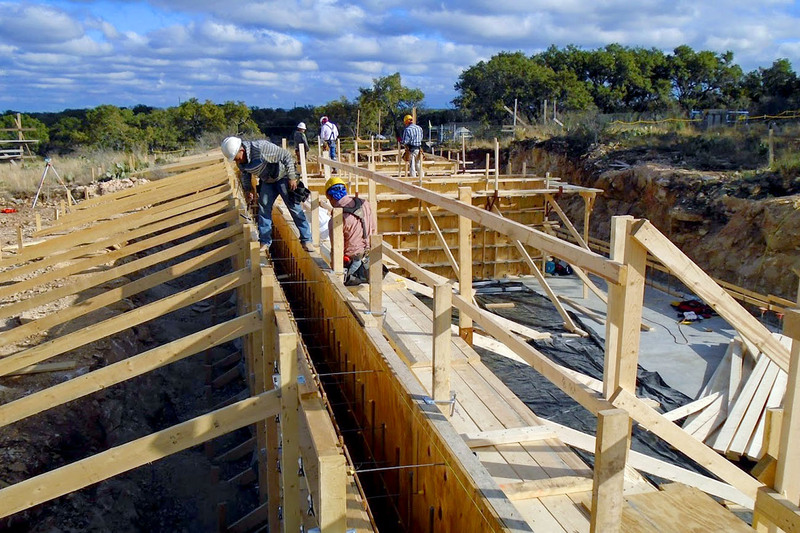 Austin Concrete Development is prepping to pour crawlspace walls on Thursday and we are very excited. We were excited about the crawlspace slab — it is nicer than the finished concrete we see in most homes. But apparently we bore easily. Ryan Bates, our construction manager, is keeping a blog about the progress and we poached this image from him (thanks Ryan). Onward!